AMMONNEWS - Israel launched a Patriot interceptor missile on Wednesday at a drone spotted approaching from Syria, the second such incident in as many months, the Israeli military said. 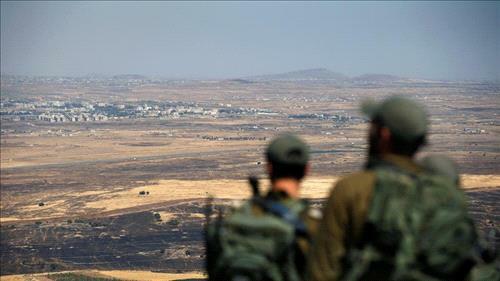 Israel has been on high alert as Syrian President Bashar al-Assad’s forces advance against rebels near the Golan and Jordan. Israel worries that he could deploy troops or allow his Iranian and Hezbollah allies to set up emplacements near Israeli lines. Prime Minister Benjamin Netanyahu travelled to Moscow on Wednesday for Syria talks with Russian President Vladimir Putin, whose military is helping Assad beat back a 7-year-old insurgency. On June 24, Israel’s military said it launched a Patriot missile at an incoming drone from Syria, which turned away unscathed. A Syrian commander said the drone was engaged in local operations.